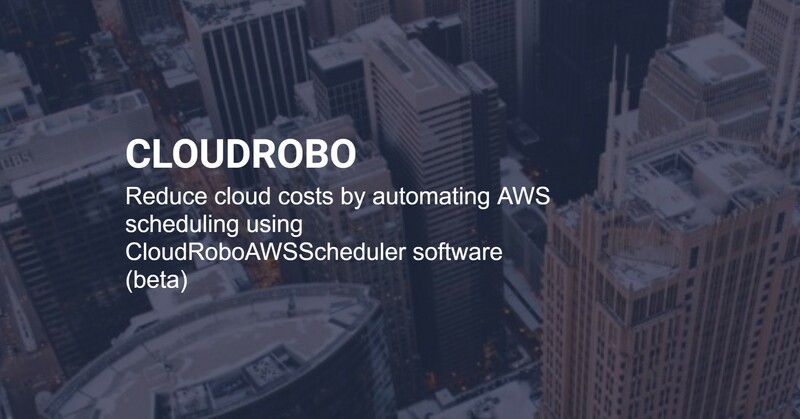 Reduce cloud costs by automating AWS scheduling using CloudRoboAWSScheduler software. CloudRobo has a product that helps you manage your AWS EC2 instances better. Using CloudRoboAWSScheduler, you can schedule your EC2 instances on and off times and save time and resources. This reduces your monthly AWS bill. One can save 50-80% on AWS EC2. This tool helps the devops team with automating important stuff for them. Start and stop your EC2 instances automatically when you need them. Start them in the morning, stop them in the evening and lower your costs.